10-6 is a big lead. I hope we can win it handy tomorrow. 10-6 is the lead that the Americans had two years ago. Once again Ian Poulter delivers. For me at least Rors, Gmac, Big Vic, Donaldson, Lee John, & Rose have all starred. The others have had their moments. Poor Stevie G suffered a baptism of fire. Hopefully he can redeem himself tomorrow. McGinley has been excellent too. He's stacked the lower middle order and the upper middle order. It could work out for him. Europe should win at a canter. Doesn't always work out that way though. 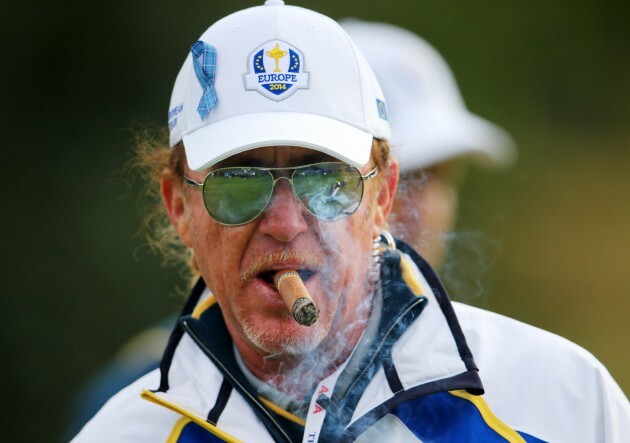 It's a curse to know that no matter how hard we try we will never be as cool as Miguel Angel Jiminez. Not even close. Gwan The Mechanic. Need to be careful as individually the US seem to be playing better in 4balls but Europe wiping the floor with 4somes. 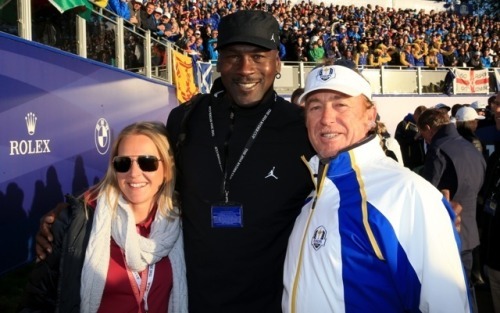 I'm sure that videos of similar comebacks at Medinah and Brookline were shown last night. Watson getting lots of grief on tv for benching Phil. According to John Murray on BBC Radio, Rory McIlroy, the world number one is playing.....like the world number one. He's five up on Ricky Fowler after six holes.